The term ‘glamping’ has become a popular pastime in the last decade but for some they have only just started hearing about this new ‘glamping trend’. So what exactly is glamping? So why the sudden rise in popularity? With more and more glamping accommodation options popping up in the UK, Ireland and beyond, we delve in to discover why ‘getting back to nature without getting back to basics’ is so popular. Whilst there are many people who are camping advocates, there are numerous people who try camping once and then vow never to repeat. They are put off by bad weather dampening their trip, an uncomfortable night’s sleep on the ground or having to entertain the kids who are moaning about not having access to their beloved technology and media. Glamping offers a great alternative to camping. It takes the best parts of camping; gathering around the campfire and spending quality time with your loved ones and upgrades it to a more luxurious and grand experience. You can enjoy a stay close to nature without ‘roughing it’ or foregoing certain home comforts. You can have electric, a bed, en-suite facilities, a kitchenette and even a hot tub. Glam camping is hassle-free. With a glamping holiday all you have to do is turn up; your glamping accommodation will be ready and waiting for you so you can leave the tent and the airbed at home. Glamping has welcomed a wide variety of people to the great outdoors. Popular for family glamping trips, glamping with friends, glamping for two, romantic glamping stays or a solo glamping escape to clear your head and become one with nature, glamping really is for everyone. And with such a wide range of glamping accommodation at varying budgets, there is bound to be a glamping option that suits everyone. More affordable glamping holidays are those in accommodation such as Glamping Pods, Glamping Tipis, Glamping Bell Tents and Glamping Safari Tents. The higher end, luxury side of glamping can range from glamping in a Shepherd’s Hut, glamping in a Treehouse or glamping in a Dome right through to quirky glamping accommodation alternatives such as glamping in a helicopter or a glamping stay in a Hobbit House. The beauty of glamping is that you can go all year round as glamping accommodation can withstand all weather. If you go glamping in winter you can keep cosy and warm in glamping accommodation with a wood burning stove. If you go glamping in summer you can sit on a veranda with beautiful views and watch the sun set. 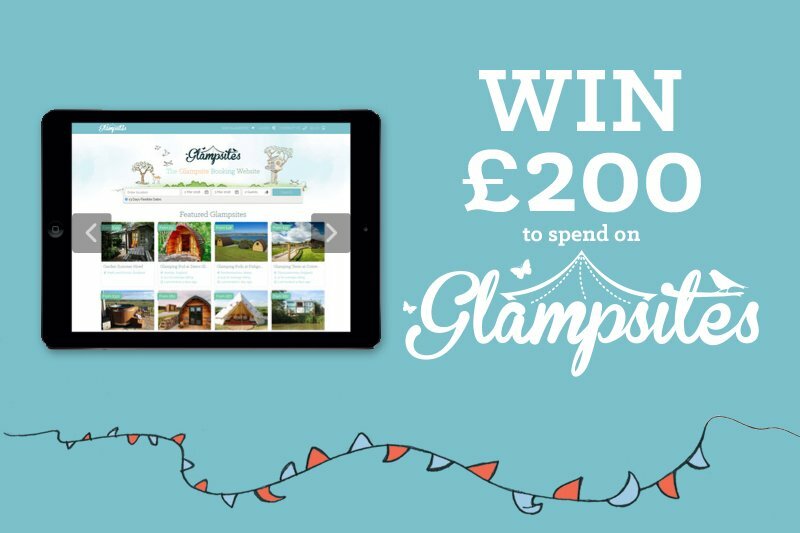 Browse our great selection of glamping accommodation and book your next glamping break on Glampsites.